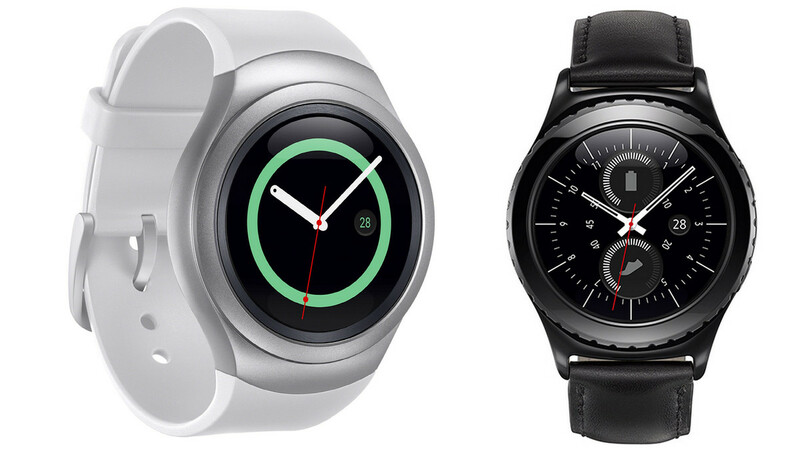 The Tizen based Samsung Gear S2 has just received an update which brings a lot of new features to the smartwatch. The user will now be able to set any image of his/her choice as the Watch Face, due to the addition of the new My Photo functionality. Whether you call it a fix or a feature is up to you though. What we found to be more interesting and useful is the much needed but previously lacking ability of the Gear S2 to install apps by itself, without the help of a paired smartphone. This would of course, make the smartwatch much more useful and independent than before and we appreciate it. Additionally, your smartwatch will now automatically track how much you are sleeping as well. If you want, you can use the device to update on social media websites about your daily fitness related activities. There are also some cosmetic changes to the weather apps and the world clock, along with some improvements to the overall stability of the device's software. 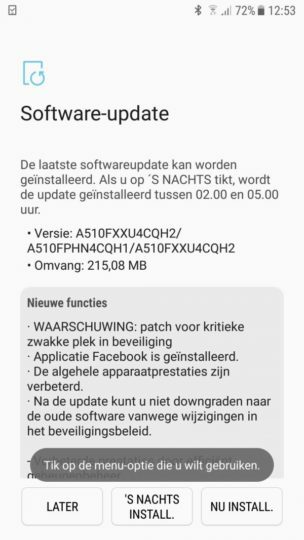 If you are using the Gear S2 Sport, the update package should have the build number R730XXU2DPFB and in case of the S2 Classic, the build number should be R732XXU2DPFB. 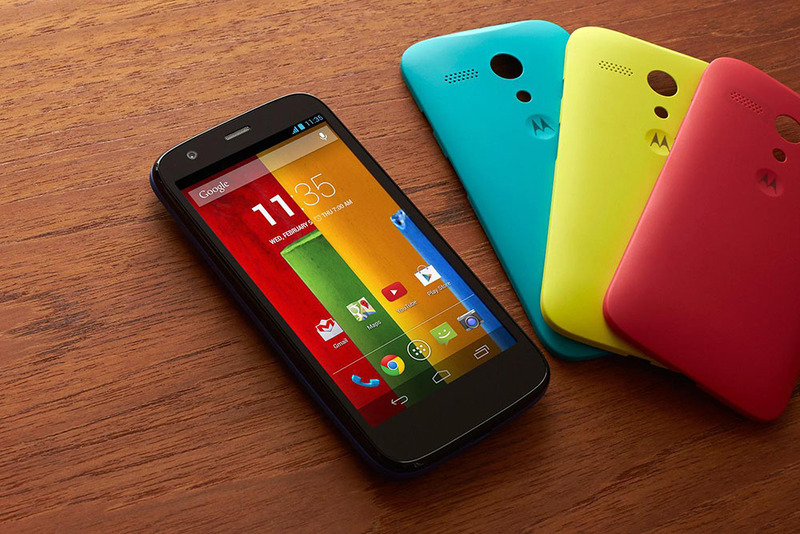 Motorola has just released a new OTA update to the old first generation Moto G (Model XT1032). The update weights about 21MB only and packs Android 4.4.4 KitKat build with some minor bug fixes. Go check your Moto G for updates. Motorola is expected to release Android 5.0 Lollipop update to its latest flagships by the End of this year. 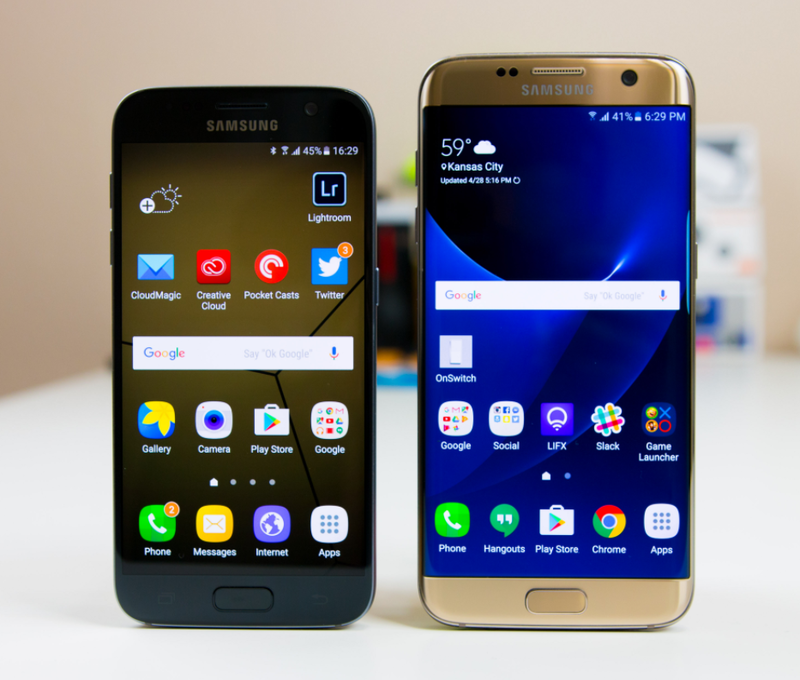 One may think that the Galaxy S7 might just be taking up all the attention from Samsung, but the Korean manufacturer is proving that they have not forgotten about their last year's flagship models yet. The most recent reminder of that came in the form of an update for the S6 Edge+ which started upgrading the smartphone's base Android version from lollipop to Marshmallow. Customers in India and France started tweeting about this, soon after the updates officially started to roll out to the respective customers in the two countries. As seen before, the update is about 1.3GB in size and is available over-the-air (OTA). 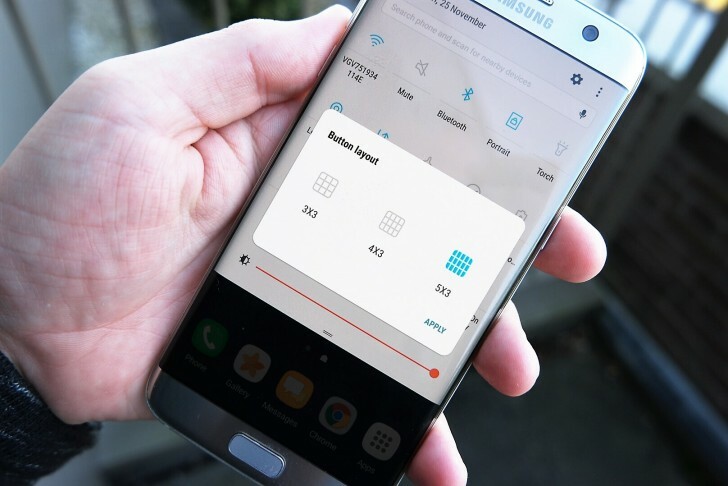 Significant improvements in fingerprint detection, Quick Connect operations, battery performance and overall user experience are expected to make its way to the Samsung smartphone with this important upgrade. If you have not yet received a notification about it, then do not fret as it can never arrive on all the smartphones at the same time. You can always check for it though, by going to Settings>About device>Download Updates. If it has already arrived, then choose whether to do it right then or later. As an alternative, you can also schedule the update in such a way the entire process completes itself while you are asleep during the night. Sprint deserved a bit of appreciation for the way in which they released Android M updates for their Galaxy Note 5 and Galaxy Note 4 smartphones on the same day, followed by more of the same for the S6 Edge+ the next day. 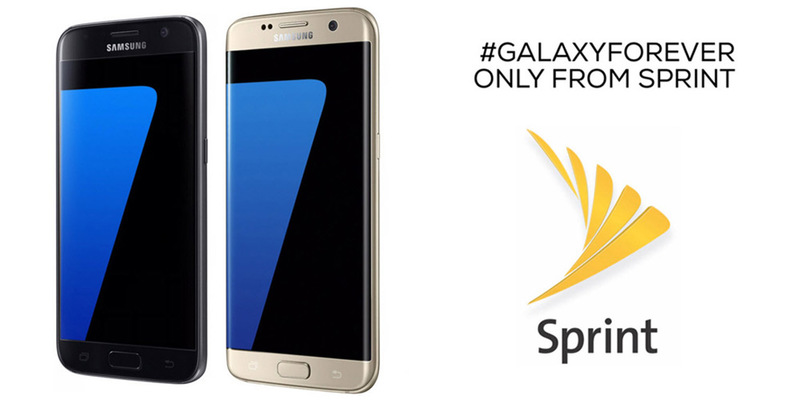 However, that was half a month ago and today we have more good news for Sprint customers. The Galaxy S5 has just started receiving its Android Marshmallow updates and Sprint is probably the first carrier in the US to update its S5 smartphones with it. Prior to this, Trinidad and Tobago was the only other country to have received Android Marshmallow for the S5, apart from Samsung's country of origin, South Korea of course. 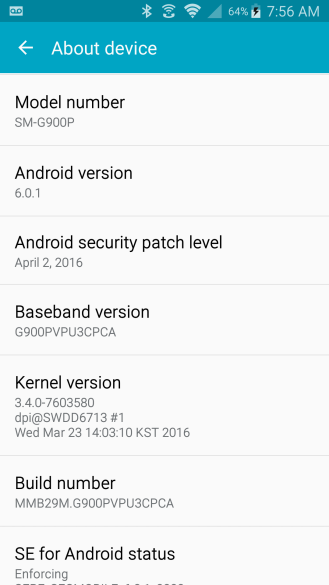 The new update will change your S5's build number to G900PVPU3CPCA, and base Android version to Android 6.0.1 Marshmallow. We expect new features like Google Now on Tap, Doze Mode and Touch Search to make their way onto the S5 with this upgrade. More details on battery usage, the ability to customize permissions for individual applications and the freedom to use an external memory card as the internal memory of the smartphone are some of the features that come preloaded with Android M updates, but we will have to wait and see to find out if all of them are included in this version. If you own a Galaxy S5 in the US from any other carrier apart from Sprint, this is also good news for you because it means that other carriers will soon follow suit. The older flagships from 2014 have just started to receive the January security update from Verizon. 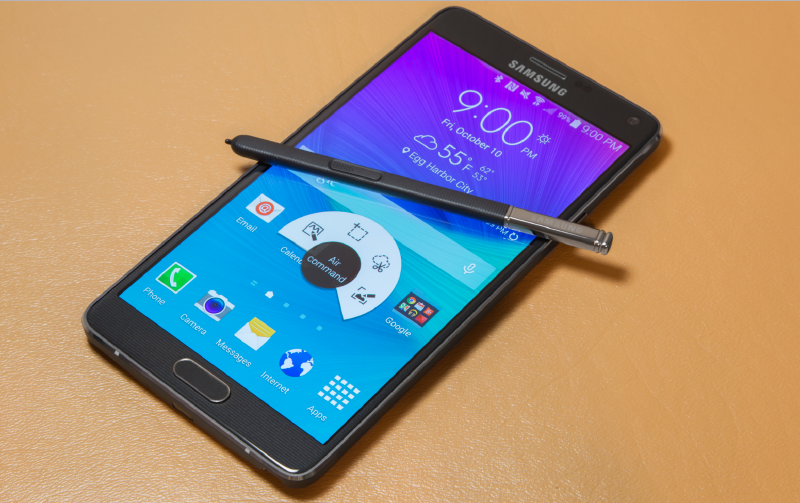 This list of the lucky handsets consists of the Galaxy Note 4, Galaxy Note Edge and the Galaxy S5. If you own a Galaxy S5 under Sprint, you will get the same January update as well from your carrier, but Sprint has not yet rolled it out for the Note 4 and the Note Edge yet. The update comes in at roughly 30MB or less for all the three handsets and will address the 67 bugs and security issues just as all Android SMR updates for January do. 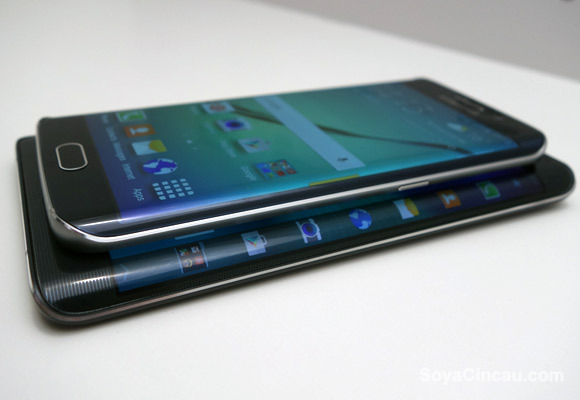 However, this one will also fix 28 additional problems found only on the Samsung smartphones. 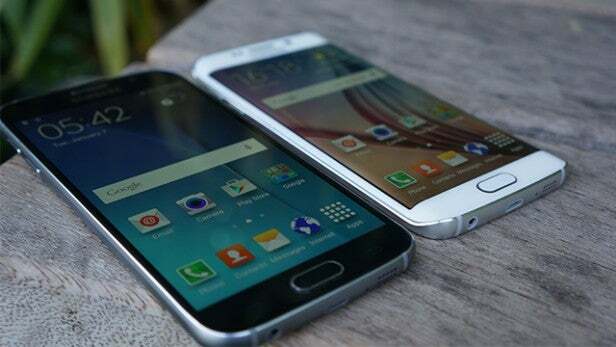 You will find the firmware version numbers below, pertaining to the specific smartphone models. Head over to our firmware section to find all the latest updates for your Samsung smartphones and also check the tutorial for flashing any ROM safely. We are nearing the end of September and Samsung is still in the process of rolling out Android Security updates for the month of August it seems. 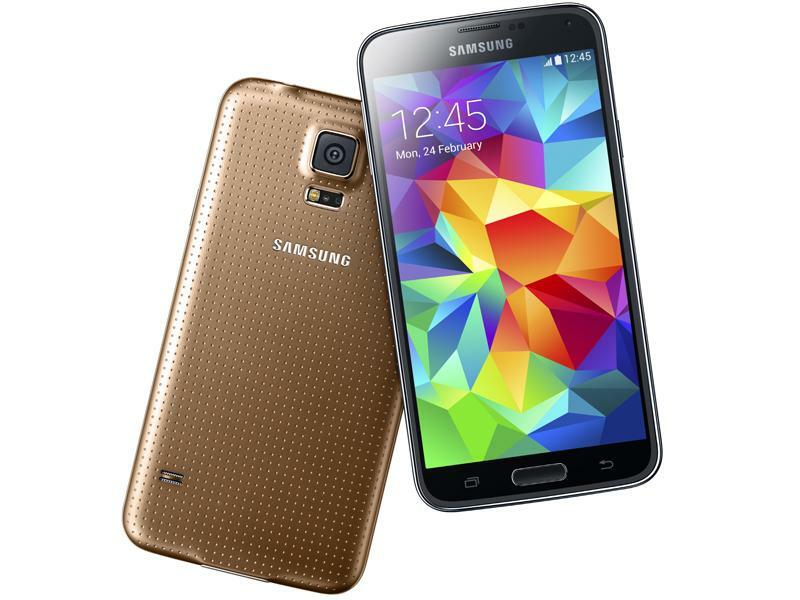 The Galaxy S5 Neo has just started receiving the security patch from last month in Europe according to sources. We know that it's an old set now, but September 19 still seems a bit too late for delivering a patch for August! 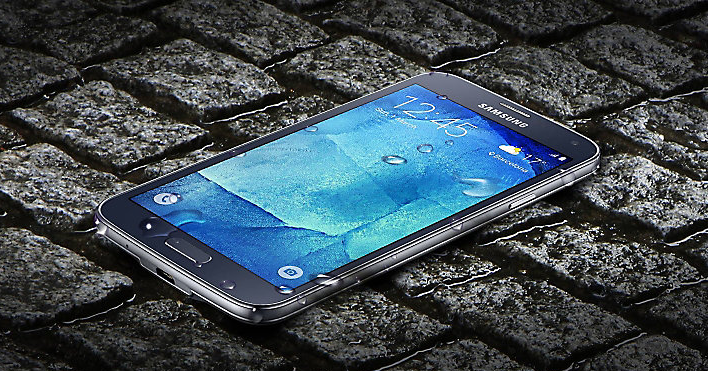 Nevertheless, it's here and you should be checking your smartphone to see if it has arrived on your S5 Neo yet. The firmware carries version number G903FXXS1BQH1 with it, which contains 28 fixes for common vulnerabilities and exposures found in all Android powered devices, alongside 12 of Samsung's own fixes for vulnerabilities in its own overlying UI. 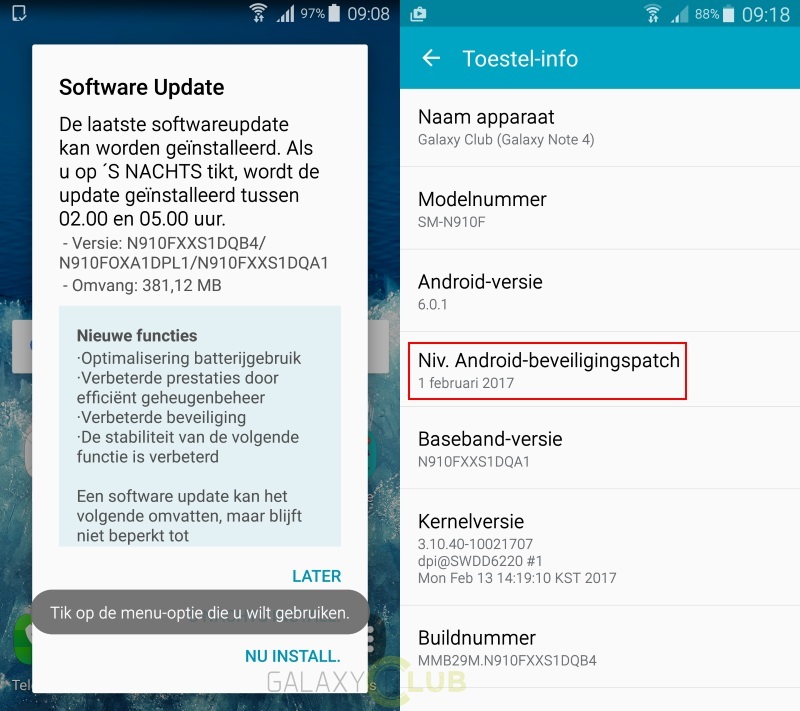 The bad news is that the European version of the S5 Neo is still not receiving Nougat 7.0, although the handset is receiving the same in other regions like Canada. Let's hope Samsung releases the Android 7.0 update for the aging handset soon in Europe. If you live in the US and you own a Galaxy S7 or S7 Edge under contract Sprint, your October security patch has finally arrived. The update arrives after half the month of November is gone but hey! At least it's here right? I am aware that it's way too late but then again, Samsung has not been very timely with their monthly security updates recently and this is a carrier update, which usually takes longer. If you own the Galaxy S7, the update should reach you in the form of firmware version G930PVPU5BQJ3, while if you own the Galaxy S7 Edge, the same update will reach you via firmware version G935PVPU5BQJ3. In case you are thinking about the November security patch, that is a riddle that no one will be able to solve right now! Just when we were beginning to think that Samsung might skip the November patch altogether, like it did with the September security patch, the Galaxy A5 (2017) had started to receive this month's security update just yesterday. 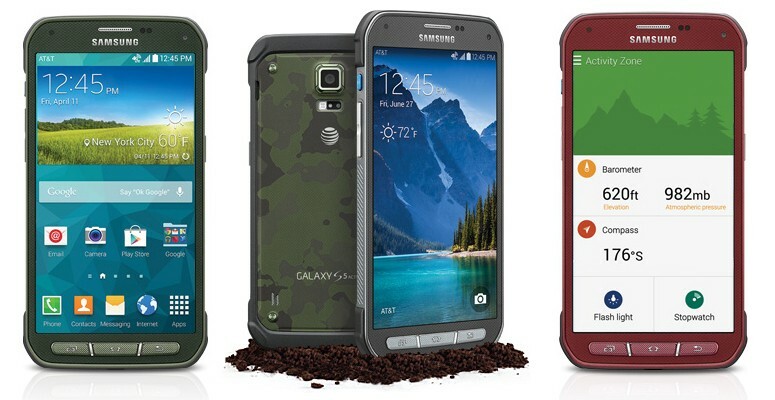 We will have to wait and see how Samsung and the US carriers play this one out. If you happen to own a Galaxy Note 8 in the US without contract, we have good news for you because as per a report by PhoneArena, the latest flagship handset from Samsung just started receiving the November security update via OTA in the United States. The update fixes 6 of Samsung's own bugs and vulnerabilities in the User Interface, along with 61 problems common to all Android OS powered smartphones and tablets. The fix for the KRACK Wi-Fi security threat is also included. 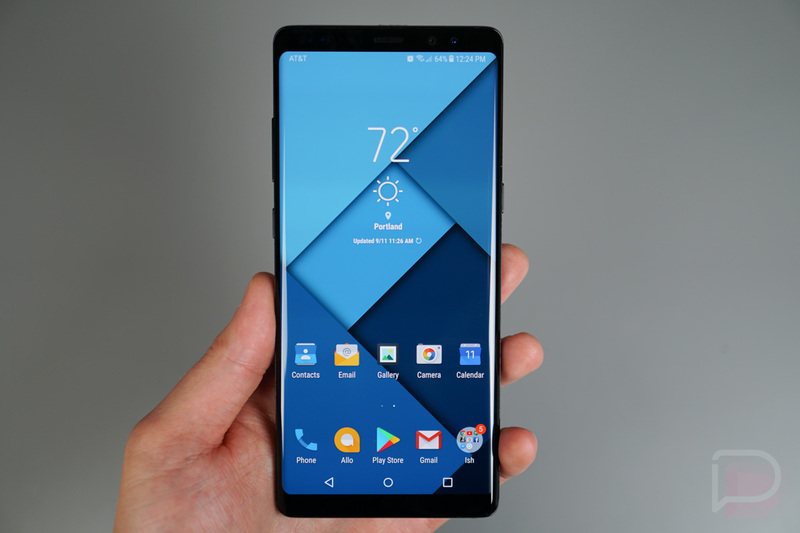 The Verizon versions of the Galaxy Note 8 also started receiving an OTA update, but as it turns out, it does not contain the November security patch, but only the update for October; talk about being late! Even the Verizon update includes the KRACK patch though. What the this update from Verizon does have however, are modifications and improvements on the camera app. The details of which, you can check out below. The carrier might be late to the party but at least they are finally there. If you own a Galaxy S6 or a S6 Edge on Sprint, you should be prompted anytime now to update your device with the latest security patch. 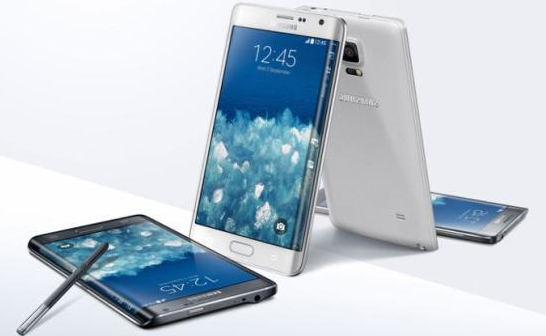 Firmware version of the update is G925PVPS4DQL2 for the Galaxy S6 Edge and G920PVPS4DQL2 for the regular Galaxy S6. The December patch will be fixing a number of issues that are common to all Android devices, but since it is coming from Samsung, it will have ten additional bug fixes from the OEM itself. Whether the Sprint edition devices will be getting some extra software improvements from the carrier as well is unknown at the moment, but if you own either of the two devices on Sprint, do let us know. If you are eagerly waiting for news regarding when or if the S6 series will be upgraded to Android Oreo, we are sorry to tell you that there is still no official confirmation. Nevertheless, there is definitely a chance that it might, given earlier reports. The Galaxy S8 and S8+ have just started to receive the April security patch in Germany, but we wouldn't be surprised if you are seeing the same update arrive for you in some other region as well. The security update patches in eight bugs in Samsung's own software and multiple other security threats to the Android OS that's running underneath. If you own the Galaxy S8, you should see the update arrive as firmware version G950FXXU1CRD7, while firmware version G955FXXU1CRD7 is making its way to the Galaxy S8+ owners in Germany (and hopefully all the other regions soon). The update is roughly 570MB in size as per reports. More interestingly, both the updates are expected to bring improvements to the cameras of the two smartphones. Since the improvements are described only as "stability," it's hard to tell if it really improves anything noticeably. I will add though that ever since the Oreo upgrade, my Galaxy S8 has not been producing images as sharp as it used to, so I am hoping that this will change that for the better. Additionally, the Wi-Fi and Bluetooth functionalities will also be improved by the update and I can personally vouch for the fact that at least the S8 I won definitely needs an improvement on both fronts! 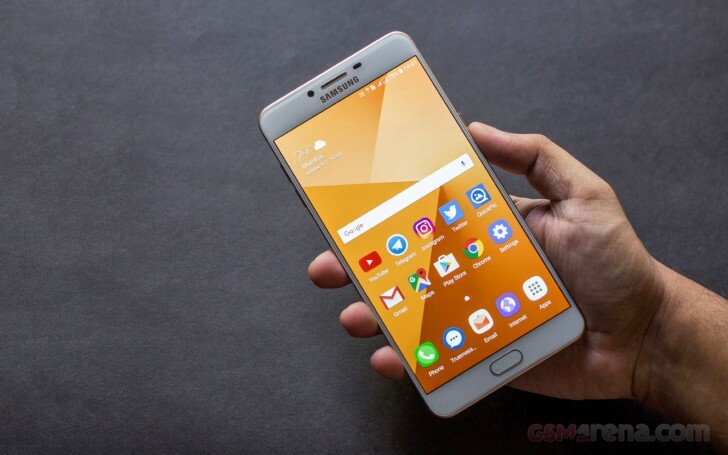 Samsung might have released Android 9 Pie for the Galaxy Note 9 in a number of countries, but China is still not in the list of the lucky nations unfortunately. 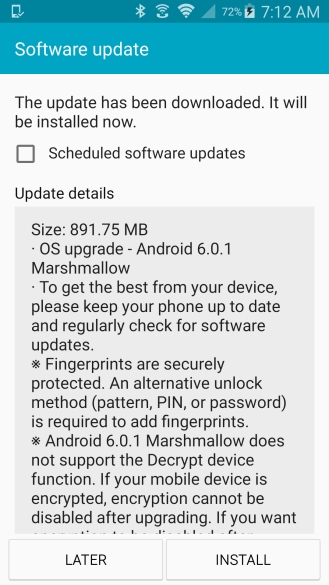 However, the latest Note from Samsung is receiving the latest Android security patch in the region and it comes in as firmware version N9600ZCS1ARL7. While I am pretty sure that Chinese readers would have been a lot more glad to hear about the OS upgrade than hearing about just the January patch, it is an important security update nonetheless and if it has arrived on your smartphone already, we suggest you get it installed as soon as possible to secure your Galaxy Note 9 against the security threats. As per Samsung Mobiles China, they will update the Galaxy S9, S9+ and the Galaxy Note 9 with Android 9 Pie, by the end of February. As of now, users in India, UAE, South Korea and Germany have confirmed that they are receiving the OS update in their respective regions, so let's hope that Note 9 users from the rest of the world are also able to join them soon enough. 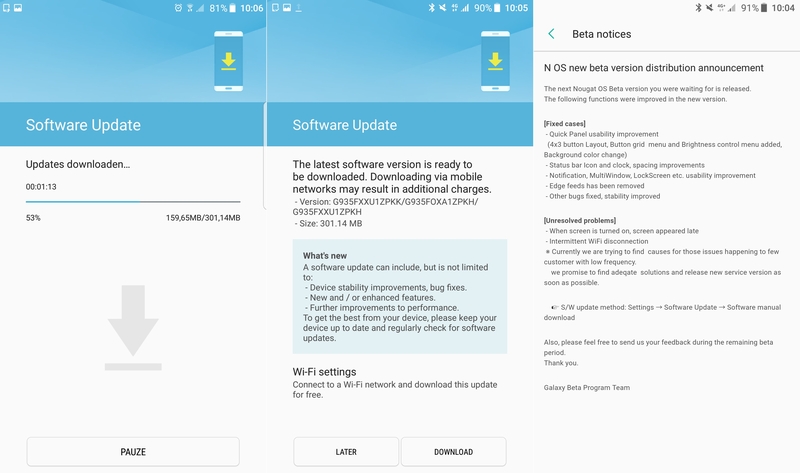 The security patch of the month has still not reached as many Samsung handsets as it should have by now, but the Galaxy A50 becomes one of the first to receive the update via OTA in India and Sri Lanka. 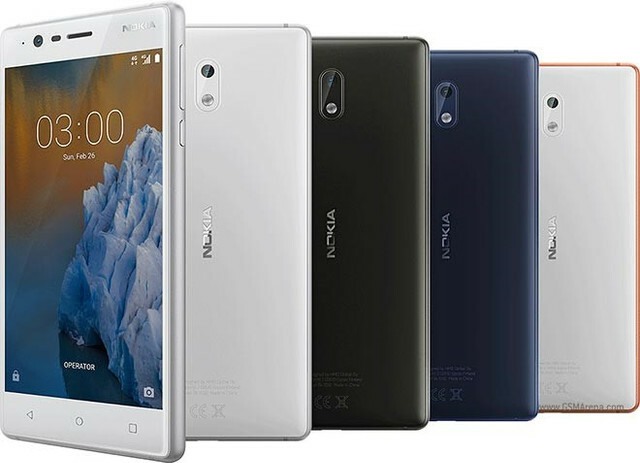 Given that the handset was both meant for and launched in the subcontinental regions, that doesn't really come as a surprise though. Once you realize the fact that the Galaxy A50 is a mid-ranger ($285 approx. 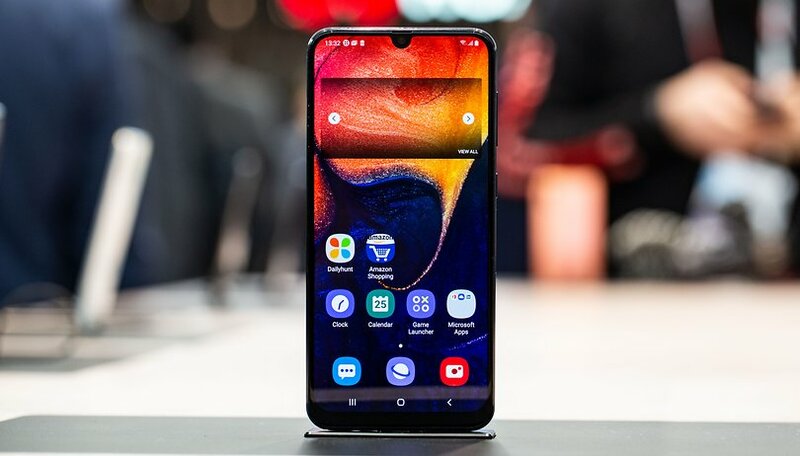 ), the device does sport some pretty amazing specs for the price really, which includes a 6.4-inch, FHD+ Super AMOLED display, a 25-mp sensor with two additional 8-mp and 5-mp sensors on both its sides to make an impressive triple camera setup for the smartphone. It does sport a notch though, that Samsung calls "Infinity-U," but we all know it as the teardrop/waterdrop/dewdrop notch that you have seen on countless other devices in the last six months or so. The firmware will land via OTA as version A505FDDU1ASC1, and since this one is indeed quite a critical security patch, do get your device updated as soon as possible.